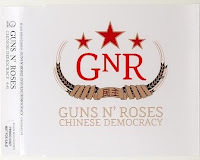 November 23, 2008, is set as the releasedate for GnR's next album, after 15 years of no studio-output. Here's the Promo CDS from Atrium, Propered with coverscans. * Chris Pitman - keyboards, prog.